Biosensors and Bioelectronics recently published a review article titled “Versatile Graphene Biosensors for Enhancing Human Cell Therapy.” The authors highlight innovative cell- and gene-based therapies that have been entering the market recently (ex: approval of CAR-T therapy for large B-cell lymphoma). 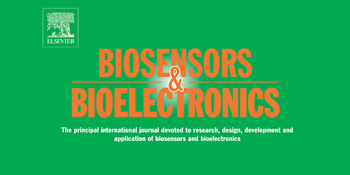 They emphasize that the success of these therapies hinge on the ability to pair them with the careful monitoring of critical biomarkers and suggest that graphene biosensors “are likely to play a significant role in next generation affinity sensors.” While graphene-based biosensors have displayed individual academic success, they have not reached the manufacturing reproducibility needed to create a diagnostic capable of entering the clinical market. This is where Nanomedical Diagnostics comes in. We focus solely on graphene biosensor technology and the development of a robust, reliable, and reproducibly-manufactured sensor. To provide transparency to the work, we’ve published papers such as “Large Scale Commercial Fabrication of High Quality Graphene-Based Assays for Biomolecule Detection.” We showed that sensitive biomarker assays can be improved by using our commercial graphene biosensor over traditional ELISA-based methods in the publication “Towards Novel Graphene-Enabled Diagnostic Assays with Improved Signal-to-Noise Ratio.” Our Agile graphene biosensors are produced in a commercial MEMS (microelectromechanical systems) foundry and packaging house under ISO 9001 and ISO 13485-ready processes. This means they are in a great position to become the first graphene biosensors produced under Good Manufacturing Practices (GMP), which would provide in vitro diagnostic companies the first graphene-based platform on which to create sensitive biomarker assays.